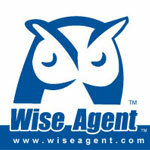 Real Estate Buyer Leads within Minutes! You'll be absolutely amazed at the number of buyers you will attract with the right Craigslist ad! 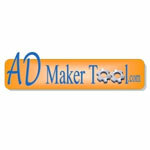 Ad Maker Tool uses special ad formulas, developed from months of research and testing, that significantly increases the number of buyers that respond to your ads! Special Offer for Dynamic Page Solutions Customers a Two Week Free Trail & 20 dollars off your 1st month by clicking the logo above. 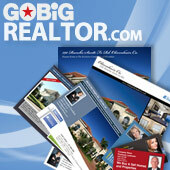 A complete suite of professionally created "Real Estate" Marketing Materials for your organization, franchise or group. Users can customize materials by using our simple & easy to use design studio. Each marketing piece automatically places the users personal profile on every piece (ie. Name, Website, Telephone, eMail etc... including logos, photos). A user can customize the marketing piece by changing the text or photos & broker logo. Users can upload their own data into their private library or "Acquire a Data List" and assign filters such as "radius zip code," "demographic," "age," "income," "residence or business" etc. GoBig Realtor's partner program is an easy and cost-effective solution for providing your organization, franchise or group with pre-created and branded marketing materials for the Real Estate Professional. 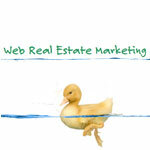 Your organization logs into a Private- "White Label" Site filled with Real Estate Marketing Products. Your Broker logo is automatically placed on every piece. Combined with an easy-to-use design center and customization tools, you can have confidence that you are offering your organization Real Estate Marketing Materials for optimal success - all the while protecting your brand. Simple, "Easy-to-use" design center with your Marketing Material built on our "Smart TemplatesTM"
Real Estate Marketing solutions that work for your business. "A Real value-ad for any office"
Use the promo code: "dynamic" when registering your account. Save 10% by using the code "myfirstcampaign" at checkout. Fusion Web Page – Create a web page for your client to view all updates on their transaction branded to you! Attach big documents that are then turned into links (no need to send multiple emails because files are too large). And these are just a few of the fantastic features available! Use the promo code: DYNAMIC when setting up your account, (all uses of promo code are verified as our actual customers). Please make sure to let your customer service representative know your user name once you’ve set up an account and we’ll be able to synch up your Wise Agent account with your DPS website. The executive staff at VisualShows.com has a background in the Real Estate industry and knows exactly what today's agents need to take their business to the next level! We have recognized the fact that current statistics say over 80 percent of prospective homebuyers begin their search for a home on the Internet. 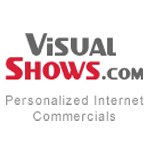 VisualShows.com is a website designed specifically for real estate agents to assist them in creating spectacular internet commercials then placing them throughout the internet for maximum online exposure! “Use online real estate marketing tools to attract buyers and sellers and Learn more about real estate marketing on the web. Web Real Estate Tools offers advice to both seasoned real estate agents who want to want to leverage Web 2.0 and improve their existing online social media efforts using Facebook, Youtube, Twitter and WordPress and for brand new Realtors we have special advice for you.